Accompany and join TFV members to realize the dream “By 2050, all Vietnamese children will enjoy an excellent education”. 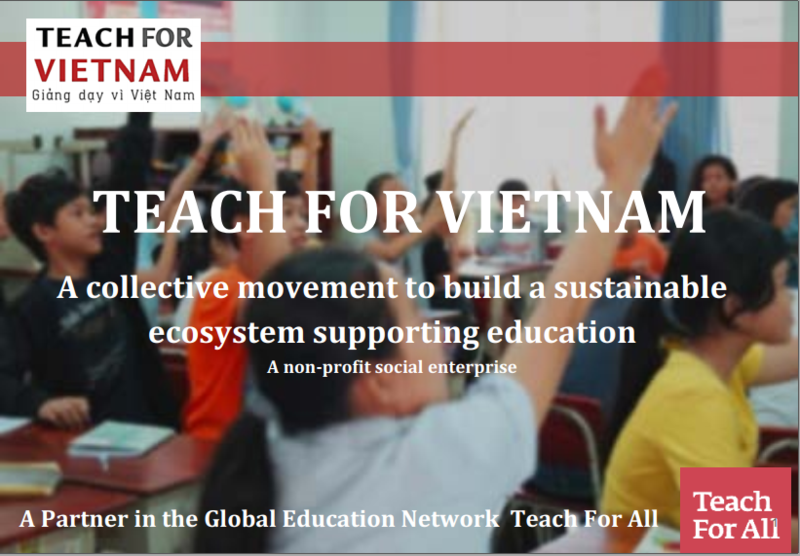 Coordinate and mobilize a range of resources from stakeholders to advocate for change to current educational environment towards an ecosystem that supports sustainable education in Tay Ninh and other provinces. – Participate in strategic planning for integrating resources from the community, local government, and especially talents, to support the implementation of TFV strategies based on short, medium and long-term objectives. – Participate in regular and exceptional meetings with the Core team to discuss and coordinate the general operations of TFV. Coordinate to handle problems arising in cooperation and implementation between the TFV with parties, especially with the leaders and specialists of Provincial Department of Education, the district Department of Education.